Don Culwell teaches in the field. What do birds, insects, trees and flowers have in common? 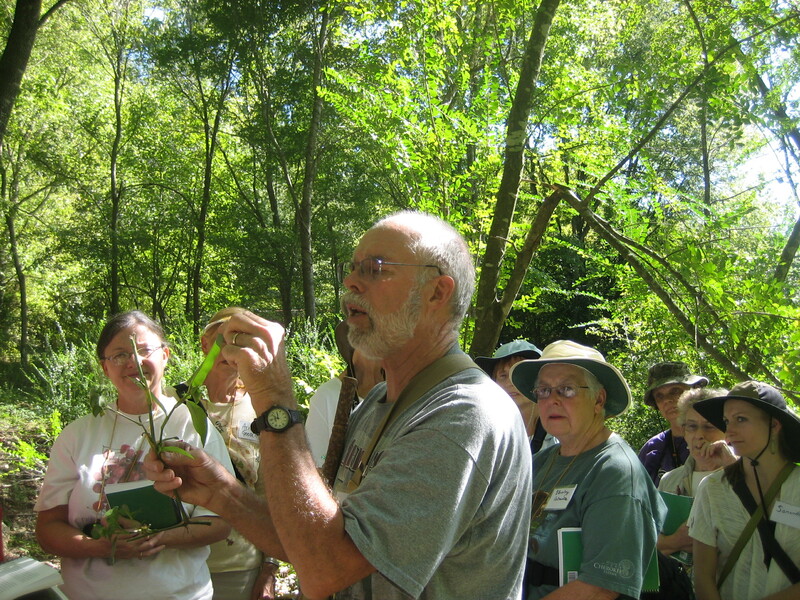 On September 22-23 of 2012, they were each the topic of a workshop sponsored by the Arkansas Audubon Society. Held at the Ferncliff Presbyterian Camp and Conference Center, just west of Little Rock, the four workshops attracted approximately four dozen participants. 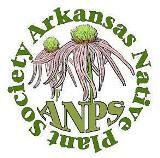 Many were from Arkansas Native Plant Society and many were from the Arkansas Audubon Society. The workshops are offered to give participants a deeper understanding of the natural world and teach them some skills that may lead to further enjoyment. 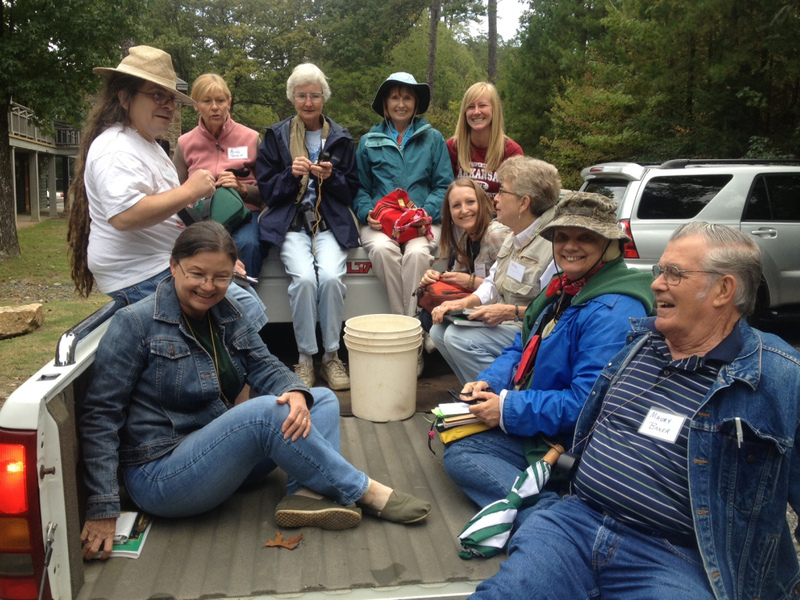 Fall Wildflowers was taught by Don Culwell, Insects in the Scheme of Things was taught by Cheryl and Norman Lavers, Arkansas Tree Identification by Eric Sundell and Birding Basics was taught by Dan Scheiman. Both days were divided into classroom, lab and field work. Two lovely meals were prepared each day by our Ferncliff hosts. The complex includes rentable cabins which gave folks the option of spending Saturday night on sight. 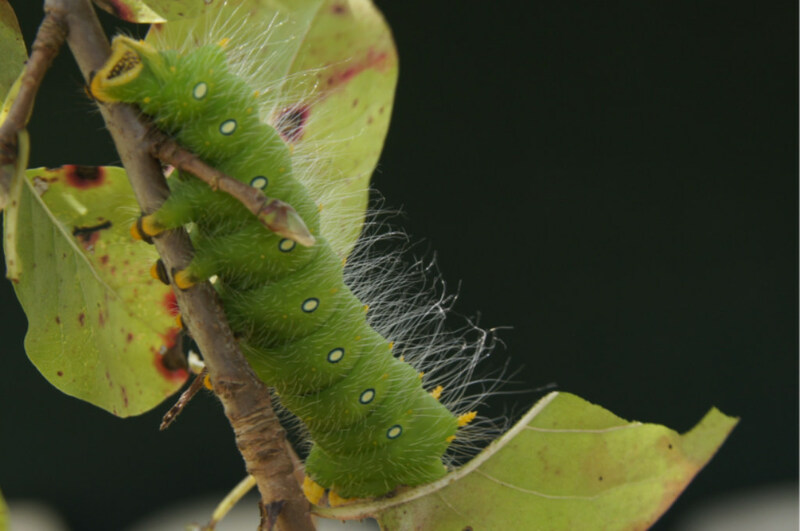 Saturday evening after dinner, the insect experts (the Lavers) presented a bonus feature on caterpillars. That very day, our interest in the topic was piqued by a special celebrity guest. Some said that only his mother would think he was cute. In the classroom, the instructors covered their topics with a variety of lecture and lab. Some of us learned some botany, some learned a little entomology and some a bit of ornithology. Each of the classes delved in to their subject by familiarizing attendees with reference material and tools of the trade. Magnifiers of things near and far, notebooks, tweezers and the essential identification key were some of the tools covered in lab. For our field work, we headed to the great outdoors. Ferncliff has many nice trails and covers a diverse variety of terrain and habitat. 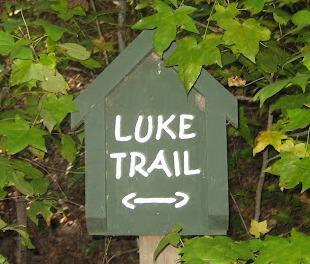 On the trails and around the lakes, birds and insects were sought out, observed and identified. Plants were examined, dissected and their botanical families were inferred. Trees were identified, bark was sniffed and twigs were chewed. Great fun was had by all. This entry was posted in Community Event, Workshops. Bookmark the permalink.